Make the perfect Margarita, using Patrón tequila and our carefully composed infusion, The Secret Ingredient. Add hand-picked botanicals to flavour and colour the cocktail to your personal liking. To create the full sensational taste experience, enjoy the sweet & savoury snack Smokey Twist while slowly sipping from your Margarita. Create a sensational taste combination by accompanying your Margarita with the sweet and savoury Smokey Twist. This ultra-premium tequila from the finest 100% Weber Blue Agave is hand-made in small batches and has a silky smooth taste, with a peppery finish. A premium mix of smoked, salty almonds and dried yellow-ochre raisins. Orange peal and lime, to make sure you will feel the suave Mexican vibe. 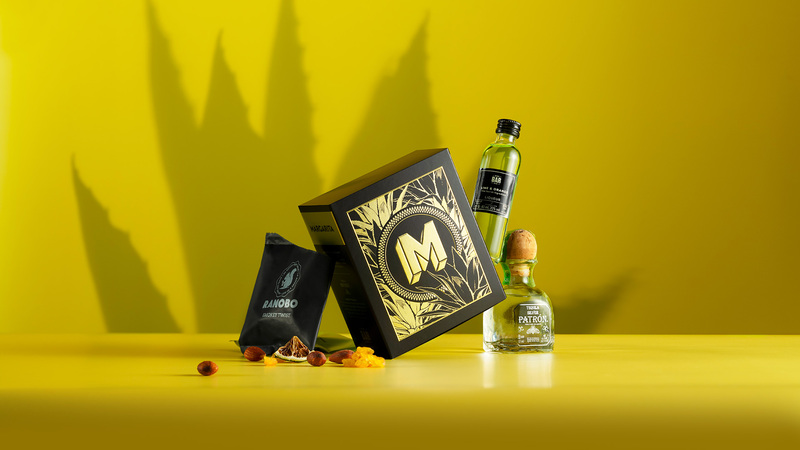 The Secret Ingredient: An exhilarating infusion, especially composed by MiniBarBox to shake the perfect Margarita.